This installment examines revenue management systems and contemplates how they impact ADR. Specifically, are they part of the solution or part of the problem when it comes to optimizing rate potential? On one side of the equation, there is a valid argument that knowledge equals power, and that the capabilities of these systems to aggregate and immediately synthesize data for the purposes of making pricing decisions is simply not achievable by man alone (or ever). The other view suggests that the degree to which these systems take the decision-making power out of the hands of their human counterparts (revenue managers), perpetuate a “set-it-and-forget-it” mentality – or worse, undermine confidence by requiring a human override of system recommendations – is undeniable. Like all matters related to the Great Rate Debate (GRD = Why do you think it’s so challenging to grow ADR with occupancy at an all-time high?) the answers are anything but cut and dried. GRD: What is the overarching purpose of a revenue management system today? Eric Stoessel: The goal of any revenue management system should be to drive both top-line and bottom-line growth. A machine cannot do that alone, and human interaction and intervention will always be required. However, that involvement should be to develop, test and improve strategies, not manually run reports and make tedious rate changes. GRD: Are all systems created equal? A system must be able to forecast unconstrained demand and be able to see sudden market changes and then react quickly to them. Using that information, the system must accurately deliver the optimal price across all room types, channels and segments independently and in real time. The problem is many systems today don’t accomplish these two goals, leaving DORMs to augment the system with manual overrides. If either humans or machines are relying only on information from their PMS and what their neighbors are doing, they won’t be able to react to sudden shifts in demand, forcing manual rate changes. Too many systems today still rely on older strategies using Best Available Rate tiers that use fixed discounts off the main BAR rate, meaning rates for all other segments and channels move in lockstep with the public BAR price. When demand is high, smart DORMs are forced to manually close or adjust discount offers and segments like the AAA rate, for example, which typically is priced 10% less than BAR. If systems could adjust those rates (maybe AAA rate becomes 1% less than BAR) and always deliver optimal prices in real time across all channels, segments and room types automatically, the DORM could instead focus on improving strategies, not rate changes. GRD: How do brand systems differ from third-party systems? ES: Hoteliers need the best tools and systems and should evaluate their choices carefully. Third-party systems aren’t necessarily better than a brand system. Many hotels today, even large brands, are using Excel or augmenting their use of required systems with ad-hoc work. In general, the hotel industry has relied on home-grown technologies and systems that have not kept pace with consumers and the innovation of technology giants like Expedia, Priceline and Google. And even if outside solutions are used, poor integration with a brand’s legacy technology can limit the capabilities of those third-party systems. In recent years, many brand companies have begun moving away from legacy technology and are looking to partner with innovative providers. GRD: Human override vs. system output – how do you know what’s right? ES: Human override should be minimal if the system output is good. The problem is many systems today don’t provide that, forcing the overrides, wasting the time of DORMs and contributing to a lack of strategy and limited rate growth. Smart systems should be learning from manual overrides and improving over time, so overrides continue to decline. GRD: What are the implications if every hotel in a given market uses a system? How does this alter or shape system directives? ES: Great question. I’d want to be the hotels and company using the best system. Going back to the concept of “you’re only as good as your dumbest competitor,” a market that all used sophisticated systems or even the same exact system would be far better than one that was sprinkled with Crazy Ivans. Revenue management isn’t a zero sum game. If every hotel in a competitive set were using the same sophisticated revenue management system, they would not all be acting in lockstep. 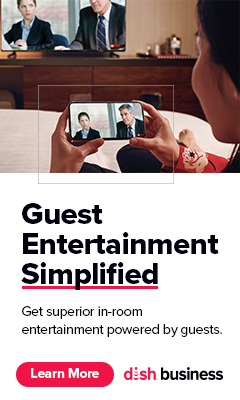 Each hotel has unique daily demand patterns based on its geography, branding, amenities, group business, corporate contracts, online reviews and more. If every hotel within a competitive set is pricing based on its unique demand, there will be pricing divergence, meaning more price points and more value propositions for the consumer. The overall market should grow. One of the biggest mistakes within the hotel industry is pricing based on a hotel’s competitive set. Determining a hotel’s pricing on how it ranks amongst an arbitrarily created comp set is not the right approach. Good revenue management should be based more on those idiosyncratic factors than what the competition is doing. GRD: What are best practices in using these systems? ES: Use a system that makes the revenue manager’s job easier. If DORMs are spending most of their time running reports and making rate changes, the system is not working, or alternatively the DORMs don’t understand how to use it or trust it. Pricing rooms by “gut feel” is not an acceptable option in today’s digital and dynamic marketplace. Data driven decisions are crucial. Machines are more capable of aggregating and analyzing data and then making insights actionable in real time. Humans should augment that with their experience and local market knowledge, but primarily focus on developing strategies that the system can execute to drive more profitability. Technology – YES! : There was no arguing the power of the technology and ability to harness data that no human could do otherwise. Ninety-four percent indicated that revenue management systems had a positive impact on their ability to grow rate. Intervention necessary: Sixty-five percent of respondents indicated that without regular human intervention, the system could potentially take them off course. Learning curve: Less than a third of respondents (28%) have been using a revenue management systems for five years or more, and half of the group had only one to three years’ experience with these systems. While we did not ask the question, we are speculating that many revenue managers today may not have actually worked through a “down cycle,” which may present a new set of issues as they look to trust their intuition when the market truly begins to turn. So, where does all this leave us in the GRD? It appears that revenue management systems have paved a pathway for considerable advancement in pricing decisions, and in fact may likely positively contribute to a DORM’s confidence in making pricing decisions. In theory, all signs should support to higher rates. However, despite technological advances, all systems do not appear to be have been created equally, many with limitations requiring “overriding” system pricing decisions as a general practice. For at least now, the human element is critical to the equation and directly influencing ADR growth. In short: Revenue management system is a must. But don’t let go of the reins just yet. I look forward to hearing your thoughts on revenue management systems, and the impact they are having on ADR … and who should we trust with our pricing decisions – (Wo)Man or Machine?